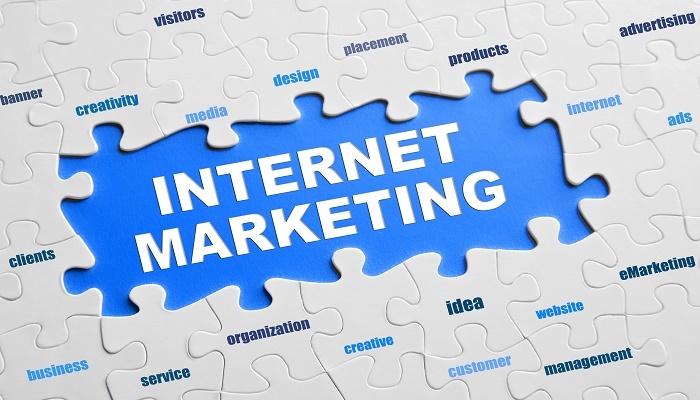 Nigerian internet marketers are faced with plethora of challenges on a daily basis. I myself as an internet marketer in Nigeria, I can easily recall some of the major setbacks during my first few months in online business. Of course, every marketer in different parts of the world faces certain difficulties, no matter how small it is. In some parts of the world, Nigeria included, internet marketing is not regarded as an occupation for serious people. As at the time of writing this article, many Nigerians believe that internet marketing is not real, and those who make money online do so by fraud. No dispute, the internet is full of different types of people; those who work and earn legitimate money and those who rip people off their hard earn money. With my few years of experience, I have come across people in the two categories. While many young and vibrant Nigerians wish to work online and earn decent income to sustain their living, most of them are challenged by these 3 major setbacks. The 4 major setbacks for Nigerian internet marketers are discussed below; however, other minor difficulties such as irregular power supply also contribute to the setback. Nigeria is the most populous country in Africa with over 160 million people. While many people believe that internet connection has improved drastically in Nigeria, more than 70 percent of the population still lives without access to basic internet facilities. In fact, considerable amount of internet users in Nigeria access internet with low level mobile devices, just to check Facebook and some other social networks. While the majority of Nigerians live without internet connection, the little that have access to internet facilities are battling with different network challenges. If you are in Nigeria, you can easily come up with some network related problems. However, if you can’t remember any, I will quickly mention few that come to mind in the next paragraphs. Poor network connection – if there are people in Nigeria who can boast of strong network connection in their region, the percentage would be very low. As said earlier, most internet users in Nigeria do so with low level mobile devices with extremely poor downloading speed. How can one compete successfully with poor network connection? Forget about competition, Nigeria network won’t allow you to reply messages on time not to talk of competing on bid. Low mobile data – Unfortunately, Wi-Fi is not in the dictionary of Nigerian service providers. “Extortion” is their second name. More than 90 percent of Nigerian internet users use data bundles to browse. With the limited data bundles at a ridiculously high cost, almost everyone is restricted from downloading heavy files, or streaming online videos. Expensive data subscription plan – as said in the previous paragraph, data subscription is very expensive in Nigeria. This alone is enough to discourage internet marketers from doing their jobs. Obviously, there are many ways to learn about internet marketing, however due to some difficulties, many Nigerians cannot get the right information needed to succeed online. In order to be a successful internet marketer, you need to learn some basic things and follow the right steps in everything that you do. Unfortunately, in Nigeria, most people don’t have access to genuine information that can help them succeed. For instance, those that cannot afford expensive data subscription may not be able to download video tutorials and other tools that can help them learn. If you want to help Nigerian internet marketers or the newbies, don’t offer them heavy files that require huge data to download. If you do, you’re not helping them because most of them will not be able to download it. No one is ready to waste money just to download software that further requires data to function. Please offer them something less than 50MB and they will appreciate you. Lack of genuine information is one of the major setbacks for Nigerian internet marketers. Another reason why most Nigerians give up on internet marketing is because most of the so-called gurus sell outdated information that cannot help the newbie make money online. Bad reputation is another major setback to Nigerian internet marketers who do business with foreigners. Previously I wrote that many Nigerians believe that those who work online are scammers. Why? The reason is because bad guys have implanted wrong impression in their mind. If you tell a group of people that you are a Nigerian and you work online, most of them will start looking at you as a scammer. With this bad reputation, many serious guys feel discouraged whenever people call them scammers. If you don’t have good reasons to help them believe that you do legitimate business online, many Nigerians will call you names, and may even invite anti-fraud agency to arrest you. The frustration does not end, as most foreigners who have been scammed also believe that Nigerians are scammers. As far as I know, there are many vibrant Nigerian internet marketers who do real businesses online and help people grow. Personally, I have helped many foreign clients achieve some goals. My advice for people is to be honest in everything that they do. Likewise, foreigners should do their findings before concluding that all Nigerians are scammers. If I should give these points priority, “how to receive payment” would probably be the number one on the list. No one wants to work when there’s no guarantee that you can withdraw your earnings. Most Nigerian internet marketers are discouraged because there are no easy means of receiving payment. Most of the legitimate companies pay through PayPal and some means that are not readily available in Nigeria. Although, PayPal is now available in Nigeria, however, users are not allowed to send or receive money with it. What is the use? You can only use Nigerian PayPal to make purchases from merchant stores like eBay and Amazon. These are the 4 major setbacks for Nigerian internet marketers. How can you benefit from reading this article? If you can help solve any of the problems discussed in this article, chances are that you’ll make a living doing it. For those who want to learn how to become internet marketer, kindly contact us today and be free from all the fake material sold by fake gurus. We will definitely help you become the best you can. Here’s another article you may like to read. Do Not Copy This Article!